So how do you tell the world that you are going to carve up an $US111 billion company — the biggest, most complicated spin off ever — without freaking out your investors, partners, employees? 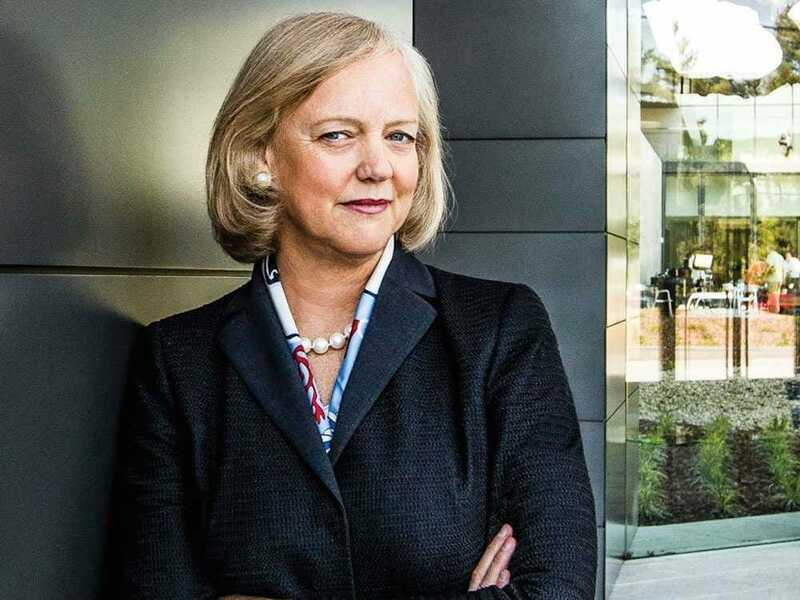 You become like a military machine, Meg Whitman told Wall Street analysts on Tuesday after reporting the company’s earnings. The thing is, enterprises are notoriously nervous about change. Meg Whitman herself has thumbed her nose at IBM’s sale of one of its server units to Lenovo and claimed that HP picked up a lot of IBM customers over the uncertainty just that one transaction caused. But she’s reassuring Wall Street that splitting HP into two huge $US57 billion public companies, which will take a year, will not cause her customers to get nervous and flee. That’s because she says HP has already talked to just about everyone. Within hours of making the announcement, HP personally reached out to over 100,000 members of its ecosystem. “We communicated with 38,000 customers and 69,000 partners in the first 18 hours after the announcement. It’s kind of amazing. We were in a military style communication,” Whitman said. “Post that all of the senior executives have met with hundreds of customers and partners and almost universally, they are enthusiastic about this. They think it’s going to be good for them, good for their business. We’ll have two more focused companies with an ability to react faster to the marketplace,” she explained. When you think about that, she’s really saying that years into her turnaround, which has already trimmed 41,000 employees from the payroll, HP is still too big and bureaucratic. That’s probably true. 275,000 employees is still a huge company. And it remains to be seen if more employees will be let go when HP divides into HP Inc., the printer/PC unit, and HP Enterprise, the rest of the company. In fact, HP board member and powerful VC Marc Andreessen has predicted that HP’s split up will be so successful in making the company more nimble and able to compete with startups, that all the biggest, oldest tech companies will do the same. Whitman says that employees are happy, too, because customers are excited. “I think this has gone as well as it could have good. I’m pleased with the communication, pleased with the reaction and pleased with the rallying of our employees across the globe,” she said.